Darren Wells is not your typical graduate. He began working in the construction industry at the tender age of 17, and has spent over a decade in the industry. 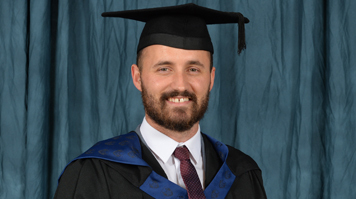 However, he was also keen to study, and completed a BTEC, HNC and HND before enrolling on the BSc (Hons) Construction Management degree at LSBU. Lots of my colleagues in my old company had gone to LSBU, and I was told they are one of the best in the UK for construction-related degrees, so that helped me to make up my mind. Find out more about studying BSc (Hons) Construction Management at LSBU.